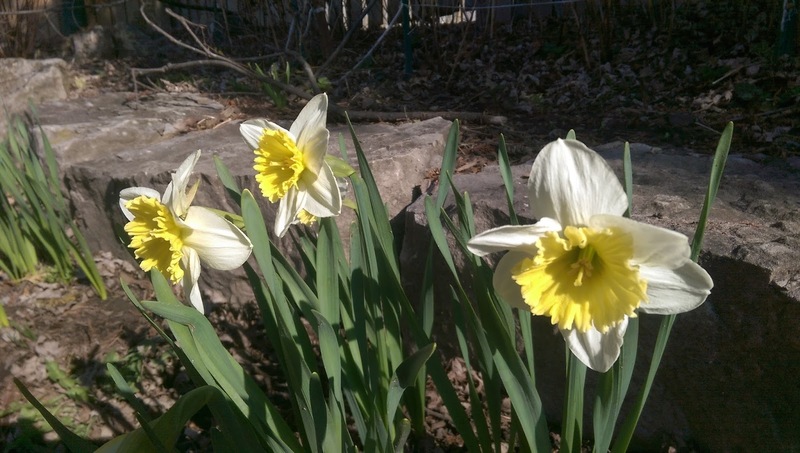 Seidlitz Family Blog: Things are blooming again! 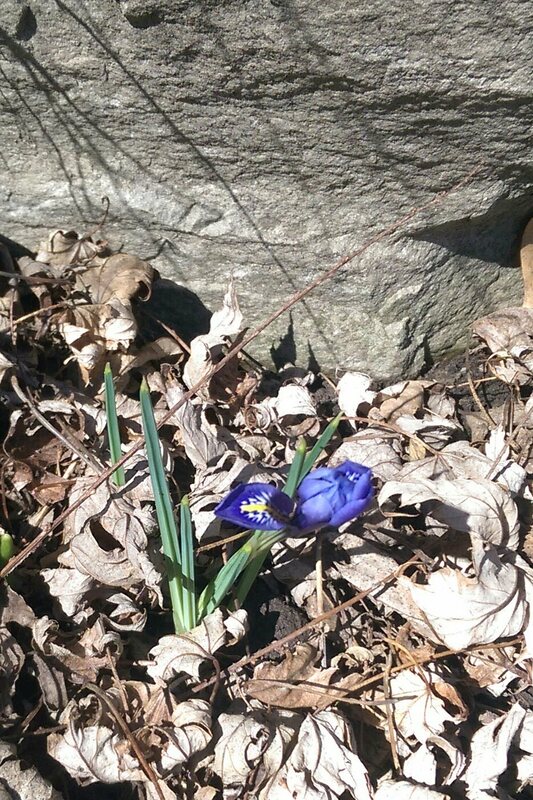 On Sunday we saw our first flower of spring - hidden in a deep corner of our garden. I wouldn't have found it at all if I weren't looking for Maddy's ball. Wasn't much of a flower, but at least it was something! With a few days of nice warm weather, the flowers seemed to start coming up everywhere. We found these at our front step a couple of days later. Maddy even climbed the rocks to check them out. She rarely checks out flowers. The deer have not eaten them, yet, but I only give it a few more days before they do. Today the next player jumped up, right next to our front step/walkway (I think 3 flowers in total). 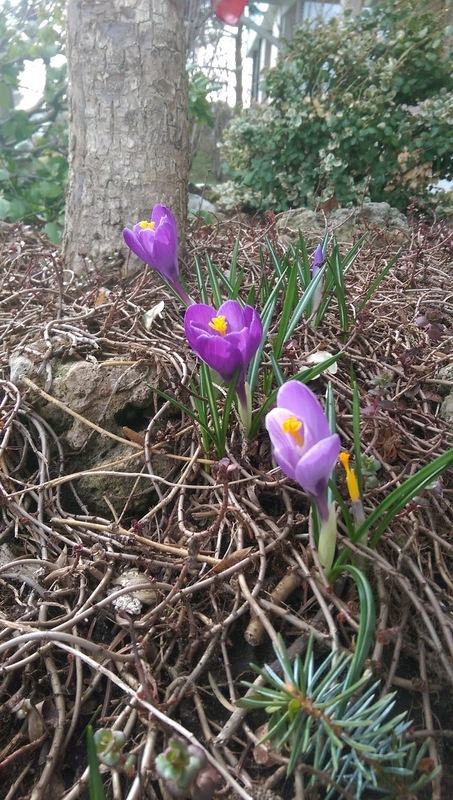 They were not even visible at all when the first few flowers appeared earlier in the week. 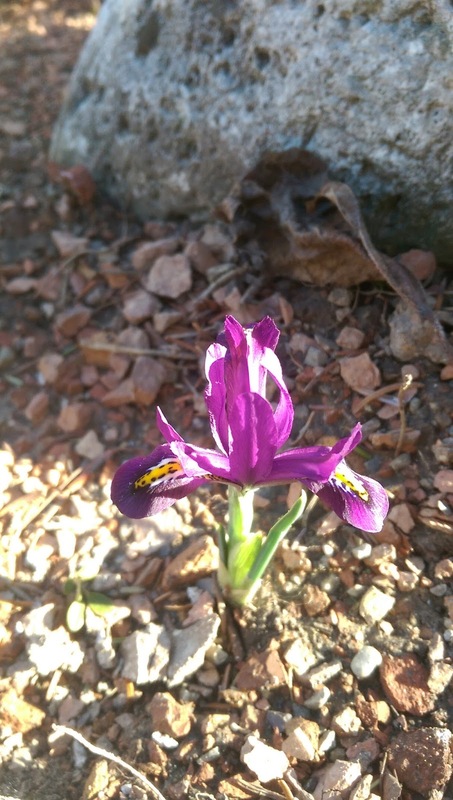 The gardener that we hired planted a number of bulbs last year, so we are expecting to be surprised again any time. Today, Adam took out the lawnmower and got it ready (maybe needing it next week). The snow blower also headed into storage for the summer. An even greater sign that the winter is over... we had the snow tires taken off both cars and switched to summer tires! Glad spring is finally here.